Have you noticed? Broccoli is like $2 a kilo! That is awesome! After months and months of it being around $6 a kilo, it’s a massive change. Of course Master 4 has just started liking broccoli in the last 8 or so months…and begged for it every time he sees it….at $6 a kilo. 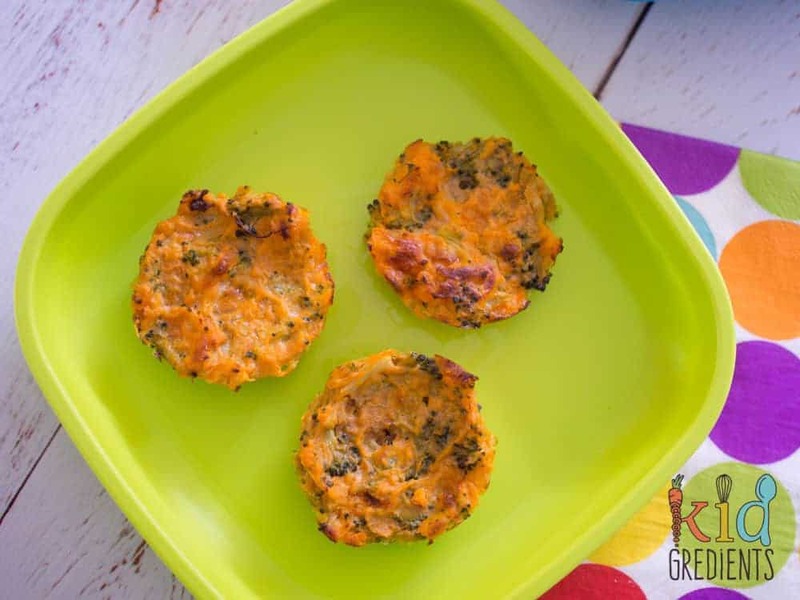 These 5 ingredient sweet potato and broccoli medallions are one of the ways I converted him! perfect as a dinner side! These are perfect for little hands as a snack or could be used for babies as well as they are soft and easy to chew. The great news is…adults don’t turn their noses up at them either! Making them in advance means you can have a few batches in the freezer for picnics, bbqs or easy weeknight side dishes. 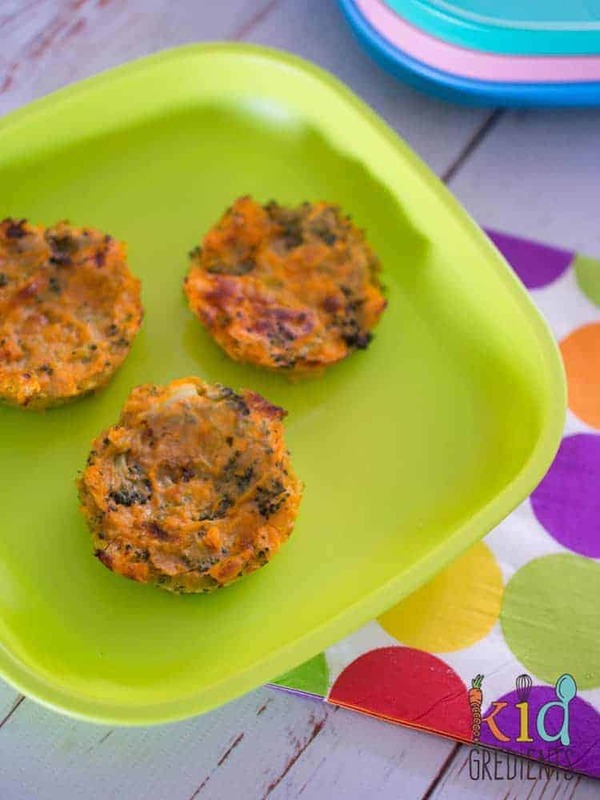 They are quick to defrost and super easy to pop in the lunchbox. 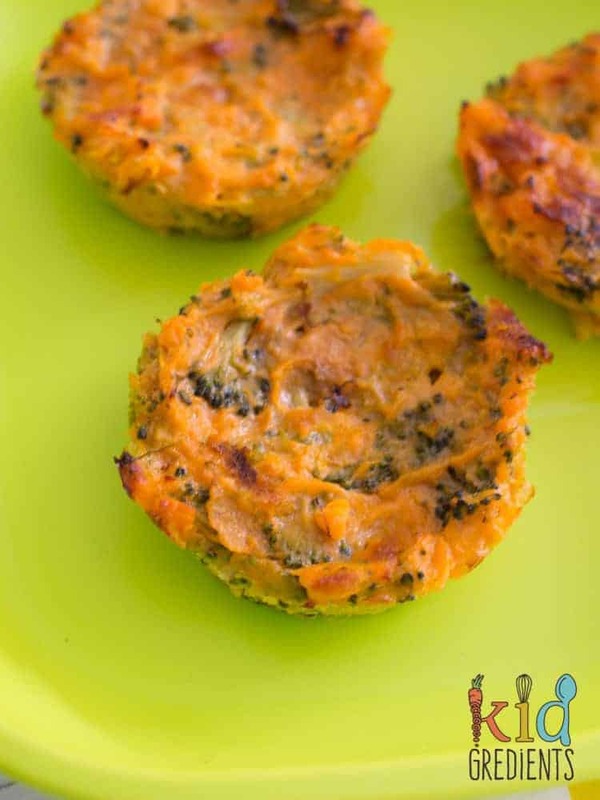 Unlike a fritter, these are baked not fried. I do them in muffins pans so they are round, but you could also do it in a loaf tin and cut it up if you prefer. 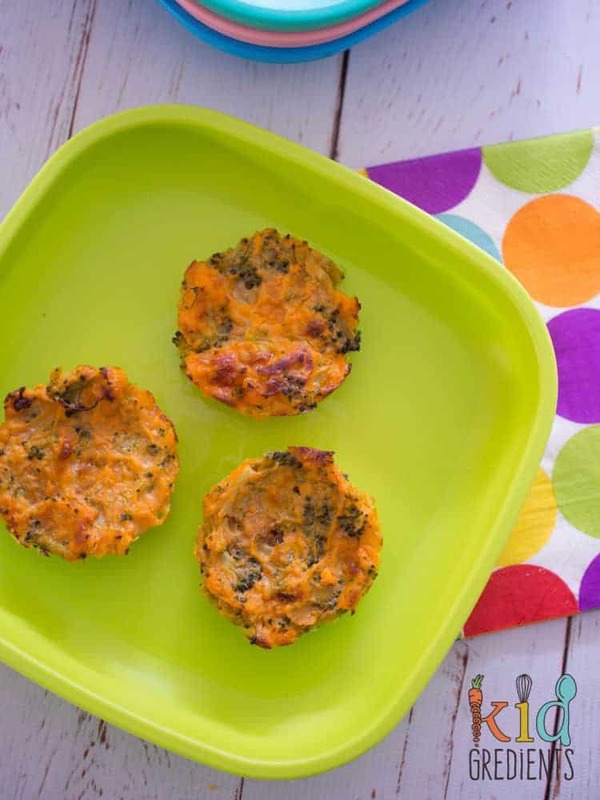 I find the muffin tin makes these sweet potato and broccoli medallions easy to manage and keeps their size just right for use as finger food. just look at all that veg! The great thing about combining sweet potato and broccoli is that it helps to remove any of the broccoli bitterness, as I find sometimes it can be on the bitter side (especially out of season). 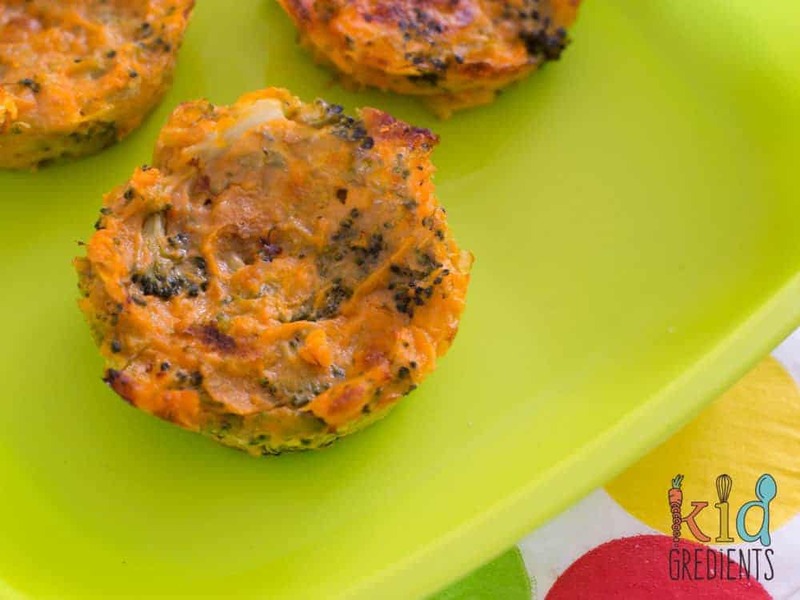 If you’re trying to convince the kiddies to eat more veggies, this might be a good thing to try. 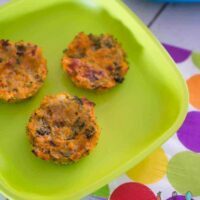 Being patty shaped and easy to hold, they also hold their shape well in the lunchbox so are great if you want to pack a little more veg in! They can also hold toppings like a blini and be used like little mini rolls. Which makes them super cute. Doesn’t the name make them sound posh? Medallions…but that’s what they call them at ikea! Cook the sweet potato and broccoli until soft. Mash together in a bowl, ensuring the florets are broken up. Add the egg, cheese and olive oil to the mixture and mix well. Bake at 180 degrees (355f) for 25 minutes or until set and starting to golden. Hi there! Thank you for the great recipe! Do you think it would make a difference if I used frozen broccoli for the medallions as oppose to fresh? Not at all! In fact sometimes it’s better to use frozen as it is frozen fresh. How long will these keep in the freezer?